Cleator Moor Celtic Football Club are a community sports club who provide a platform for over 200 people to participate in team sports each week. Celtic pride on being an inclusive club which has been a pillar of the community for over 100 years. With more than 160 youths aged 5 to 16 currently representing the junior section, there’s every reason to look forward to the next 100 years. 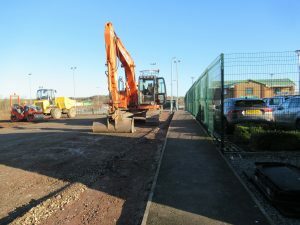 The access road to the community club was in a very poor condition and the site perimeter was not secure. 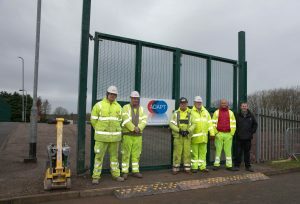 ADAPT engaged several supply chain organisations to deliver a project which includes a new road layout, improved surfacing and site perimeter fencing for enhanced security. 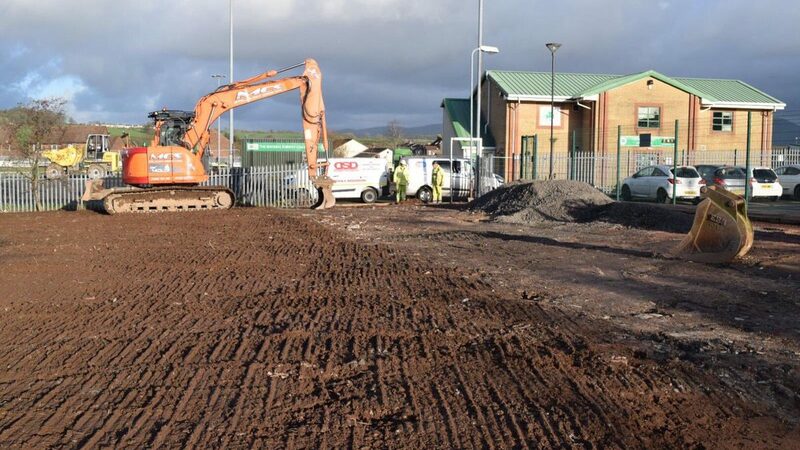 “On behalf of us all at Cleator Moor Celtic, I would like to express our sincere gratitude for the recent infrastructure improvements delivered by ADAPT, DSD, O’Connor Fencing & Mossop Construction Services. The team worked tirelessly to deliver improvements which exceeded our expectations. Our objective is to continue our progress on and off the field. When people visit our club, we want them to have a positive experience which encourages them to return on a regular basis. Making our club more accessible and enhancing our security arrangements are two improvements which contribute to achieving this and supports our future sustainability. When we registered our request on Cumbria Exchange, I didn’t expect the response to be as emphatic as it has been. Working with some of the supply chain personnel has been a pleasure and I would like to give a special mention to Jenny Scott of ADAPT who was the coordinator and driving force behind the works. ADAPT are a Joint Venture (JV) organisation working on the Decommissioning Delivery Partner (DDP) Framework at Sellafield. The ADAPT JV comprises 3 global organisations; Atkins, Doosan and Orano (formerly Areva). All 3 companies are active employers in West Cumbria and are committed to supporting local community improvement programmes. 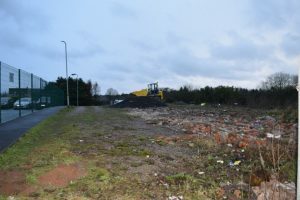 ADAPT utilised its supply chain relationships to engage Cumbrian businesses DSD, O’Connor Fencing and Mossop Construction services in the project. A great example of Tier 3 and SME’s companies contributing to the community. A new road layout, improved surfacing and site perimeter fencing for enhanced security. 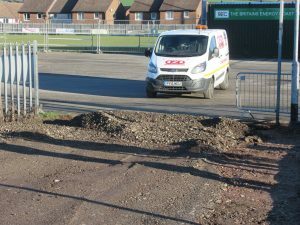 The access road to the community club is now in good condition and the site perimeter is now secure and safe, attracting and allowing people to have a positive experience when visiting the club.